If I crack open a probe, I charge a minimum of $50. (The probes cost about $1 each). 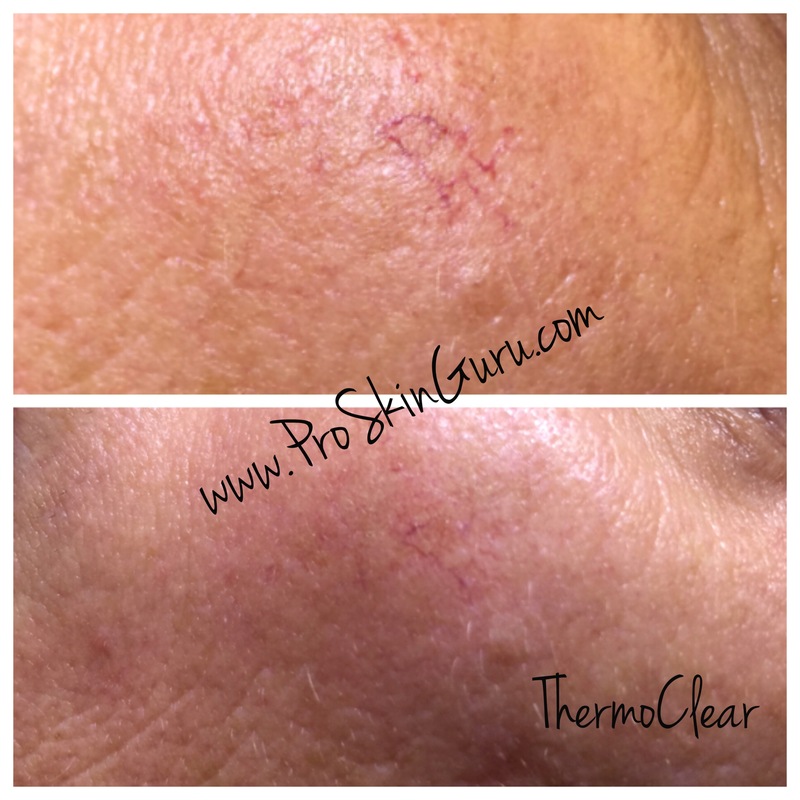 For this $50, I will treat either a large skin tag, or 2-3 smaller blemishes. My total treatment time, including setting up the machine and pulling it over to my treatment bed is less than 5 minutes. 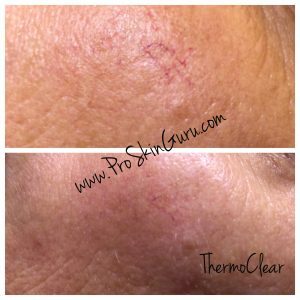 This is usually what I will add onto the end of a facial if I see something quick to treat, such as a skin tag, sebaceous hyperplasia or cherry angioma. The next ‘tier’ is 15 minutes of continuous service for $150, but I usually treat for about 20 minutes, and I make sure to note that to my client. I’ll say something along the lines of ‘I’m going to stop here. I’ve been treating for 20 minutes, but I’m not going to charge you for the extra time. It will be my gift to you.” You client thinks you’re a HERO and you’ve still made $150 for 20 – 30 minutes of your time. This is best for a few small imperfections around the face, neck or decollete and several dilated capillaries around the nose. For this service I will do a quick double cleanse, treat with the ThermoLo or ThermoClear, apply some *Caladryl and send them out the door. The next ‘tier’ is 30 minutes of continuous service for $300. Once again, I treat for a little bit of extra time – usually 35 – 40 minutes, and I once again I note the extra time to my client. This is best suited to lots of dilated capillaries on the cheeks & nose, and perhaps a few other blemishes. Thirty minutes is the most I will treat a client, because usually by the end their skin is pretty beaten up and they’re ready for a break! Once again, I will include a double cleanse, ThermoLo or ThermoClear treatment, *Caladryl and send them out the door. 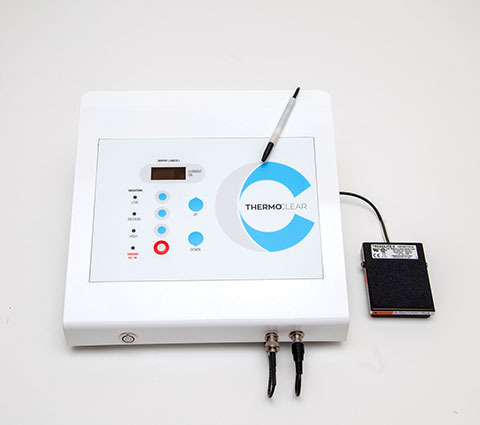 *Caladryl helps to take the itch and sting out of your ThermoLo / ThermoClear treatment. Always make sure your client has no sensitivities / allergies to Benadryl or Calamine lotion before application. ALWAYS REBOOK YOUR CLIENTS FOR ONE MONTH POST TREATMENT!! A quick note about numbing creams…. I don’t numb. If your client is in that much pain, turn your machine down a bit! 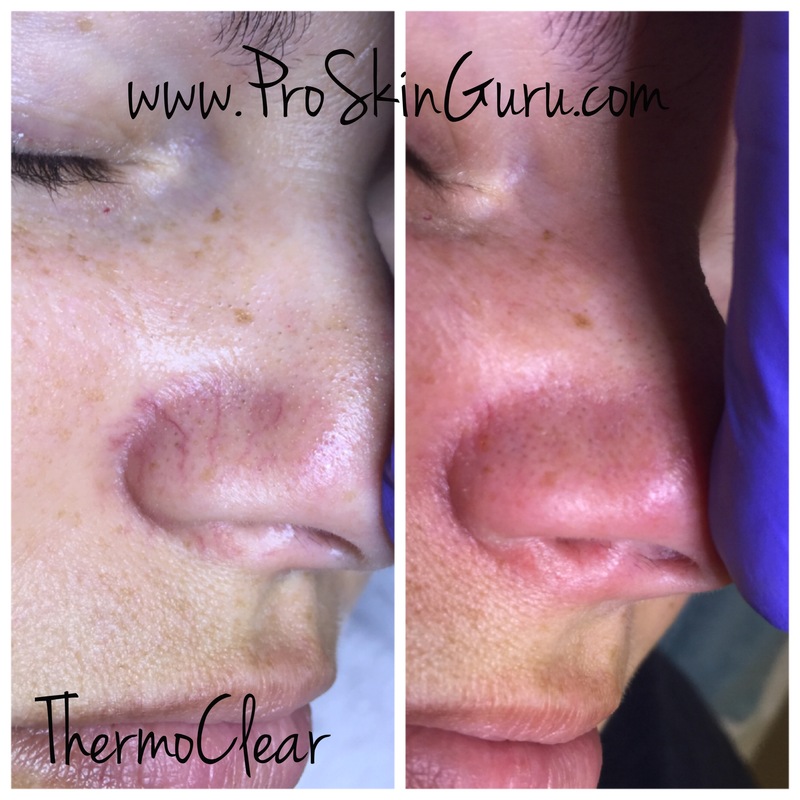 That is the beauty of using a ThermoLo or ThermoClear! Both of these machines utilize both low and high radio frequency instead of just high radio frequency, so you have the option of turning the machine down to make the service more comfortable for your client. Keep in mind, if you turn the machine down you will have to treat a bit slower in order to adequately treat the area. 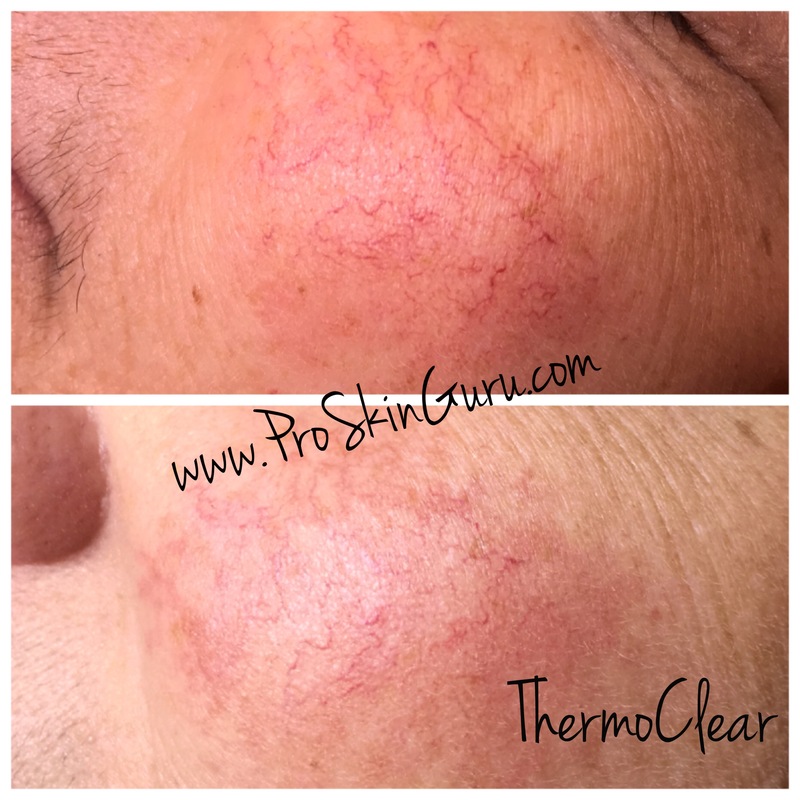 If your client has extremely sensitive, thin or aging skin, or a higher Fitzpatrick type, you’ll want to treat at a lower voltage than if they have a thicker, more resistant skin. You can read more about the difference between the ThermoLo / ThermoClear machines and other machine’s on the market here.